Welcome to my blog! My name is Jake and I am currently a college student at University of North Florida who is studying Transportation & Logistics. This blog will be about my trips on Public Transportation as well as my advocacy for better transit options. I'm Back! Hello everyone! I'm sure you all have been wondering where I went, as my last post was last year, in 2017. I had forgotten about this for a while, and also as I am going through college I have been focusing on other things. Also, I have not had many chances to ride any public transit in a while (though I did ride on the MBTA recently), so because I haven't been using public transportation recently, this has taken a back seat. Also, to be honest, living in Jacksonville, FL while there is public transportation (Jacksonville Transportation Authority - JTA), it isn't easy to use the system since pretty much all of Jacksonville is car oriented, and the JTA system just doesn't interest me as much. But, with all that said, I do want to continue this blog and continue to be more active. 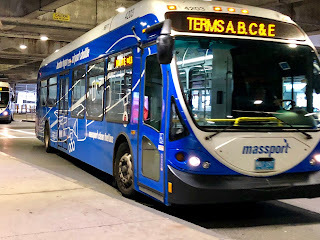 Lastly, please see the link at the bottom for a link to a transit enthusiast group, if you'd like to join, just click the link and we're happy to have you!